An egg bagel is a bit richer than a standard plain bagel, and appeals to customers for whom a plain bagel is just too — plain. A New Yorker Bagels egg bagel can be eaten fresh and hot with nothing on it, split to form a sandwich, or halved and toasted for munching a day after purchase. An additional option now includes Egg Everything. What makes an egg bagel so appealing to customers? First, the color. 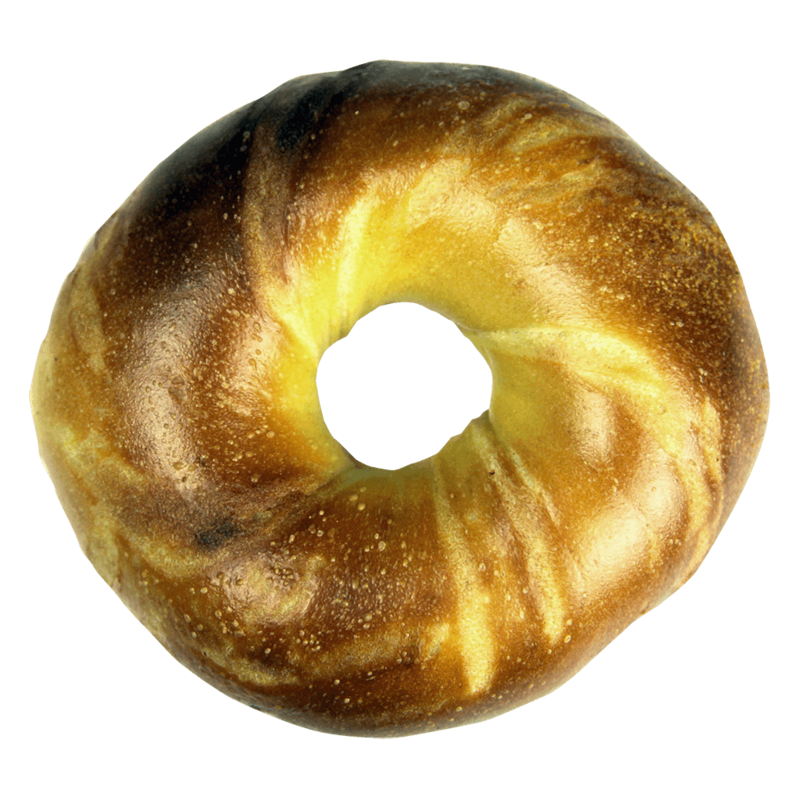 The egg bagel has a rich yellow color underneath the typical brown bagel crust. An egg bagel looks wholesome and delicious – and it is! Second, the flavor. An egg bagel has a richness that surpasses that of a plain bagel, adding an extra layer of flavor when eaten with a spread or topping. Third, the texture. The egg provides a slightly lighter crumb, so the bagel isn’t quite as chewy. Fourth, the slicability. An egg bagel is slightly easier to slice into two halves, even if you don’t have special bagel slicing equipment or a super sharp serrated knife. Fifth, the way the egg bagel holds up under a variety of toppings. You can pile on caramelized onions or spread with soft cheese, smother in melted cheddar or slather with butter. The egg bagel will probably become a favorite sandwich pleasure. Check your local bagel shop or find a conveniently parked cart on the way to the office or gym to see if they offer fresh, hot, chewy New Yorker Bagels egg bagels for a yummy twist on your favorite breakfast or anytime food!